‘Debates on Division: When Private Becomes Public’ is an ongoing project that deals with political, social and ideological divisions and positions taken by individuals amidst those conflicts. Having been a nomadic, discursive and performative platform since 2014, ‘Debates on Division’ will celebrate its 4th iteration in Oslo. Previous sessions of ‘Debates on Division’ opened up discussions around post-Soviet conditions in contemporary Russia and the Russian-Ukrainian conflict (St Petersburg, 2014), the world refugee crisis (Amsterdam, 2016), and political tensions in a pre-Trump USA before the presidential elections (Washington DC, 2016). In the Norwegian version of ‘Debates on Division’ Gluklya and Anna Bitkina, in collaboration with other project participants, are engaged in a search for a visual and performative language to create a critical discussion around the ‘deviant use of democracy’ (a phrase coined by Thomas Hirschhorn), the future of Europe, and the position and agency of the younger generation within current post-neoliberal conditions. 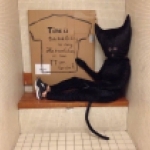 Black humor, exaggerated features of the characters, futuristic forms and looks are important artistic methods of the project. Accelerated economy and growing social wealth helped Norway to project outside an image of an ‘ideal state’ which made it desirable, welcoming but yet barely accessible due to overly high prices. After the Breivik terrorist attacks in 2011 intercultural tensions became radically apparent in Norway as all over the world. Being officially a country that is practicing social democracy Norway these days potentially faces complex problems of a poor integration policy for newcomers, growing social segregation, nationalistic political agenda of the government and public institutions, which creates alarming social unrest in the country among different social and age groups. The upcoming debates will (r)evolve around personal stories of a group of young people, aged 15-20, who live, study and work in Oslo. 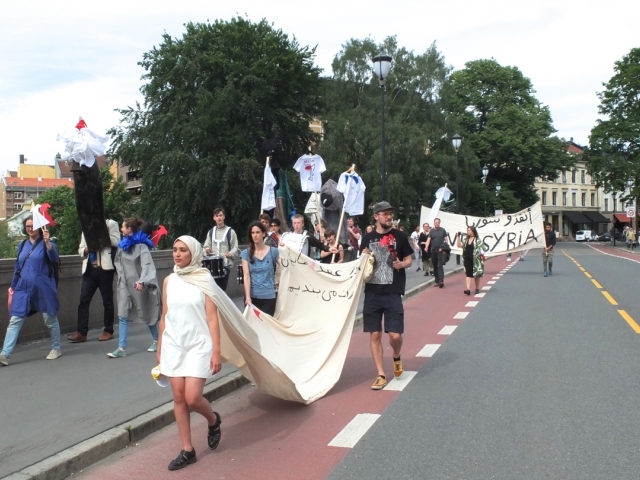 Young individuals of different ethnic and subcultural backgrounds will bring to light important issues relating to their social and political positions, attitudes towards governmental structures, youth policy in Norway and visions of the future. As Gluklya has said: ‘in this project we’d like to look into wide open eyes of the future, learn about not yet existing professions, and get to know the fears of young people as well as their incredible fantasies’. 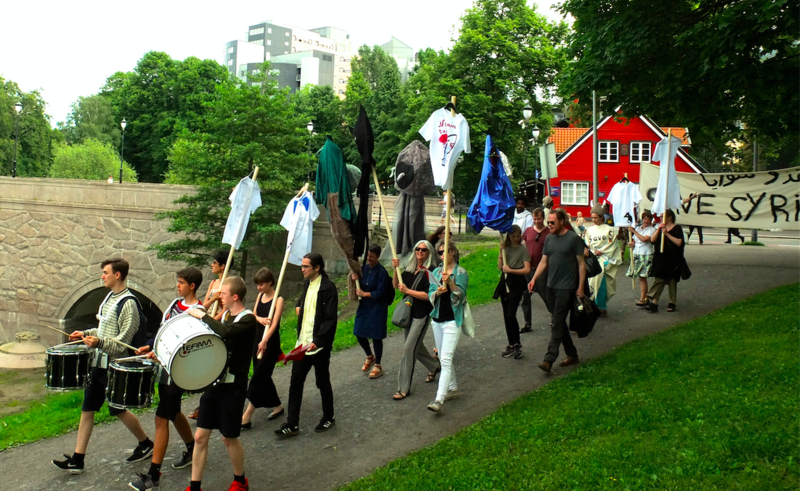 The ‘Debates on Division’ project in Oslo consists of a performance in Deichmanske Bibliotek in Grünerløkka, a public procession in the Grünerløkka area and an exhibition in the RAM Gallery. Constructed as a TV talk show and led by a host (actress and artist Helle Siljeholm) the performance will feature several video stories. The narrative for the stories was constructed from interviews with young people whom Gluklya and Anna Bitkina met in Oslo during their research trip in February 2017. The artistically modified texts will be told by young actors dressed in costumes and masks created by Gluklya, the designs for which are based on visions and fantasies of the young people interviewed. A group of experts consisting of local artists, curators, educators, activists and social scientists will comment on and evaluate the stories presented. The audience will be invited to vote for or against the stories and costumes. 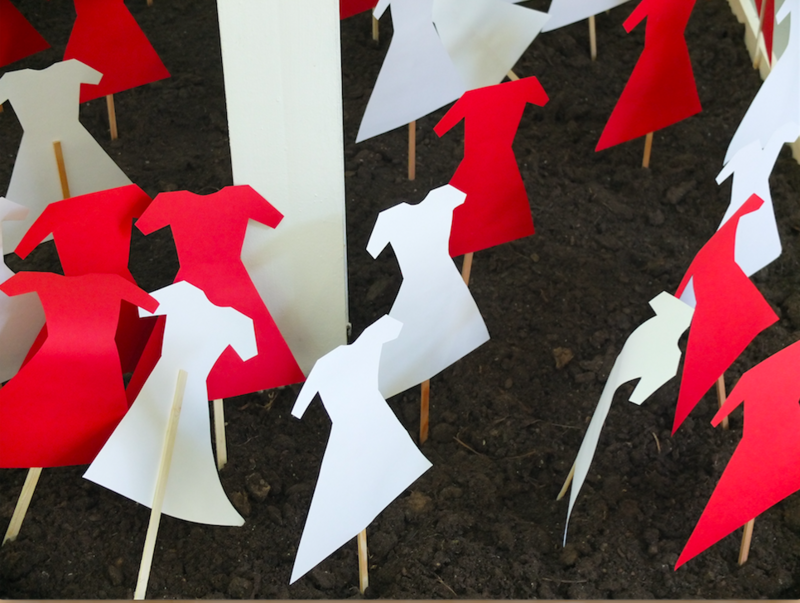 Based on the voting results, the pieces will join (or not join) the collection of ‘Museum of Utopian Clothes’, Gluklya’s ongoing project that she started in 2012. 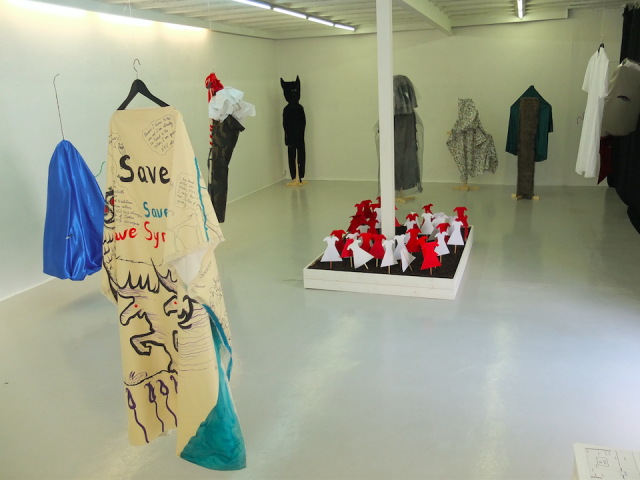 ‘Museum of Utopian Clothes’ aims to bridge the gap between the government and citizens by facilitating self-organization and proposes a new form of public institution, which both honors and respects the position of individuals of any age, social status, nationality and the social and historical value of their lives. In the library, the audience will be invited to take part in a discussion, add to the experts’ comments, and place their vote. 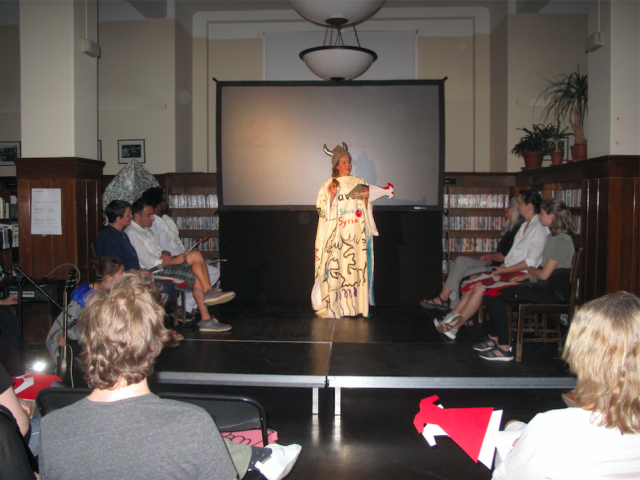 The performance in the library will be followed by a procession, which will bring the audience and all performance participants into a public space. 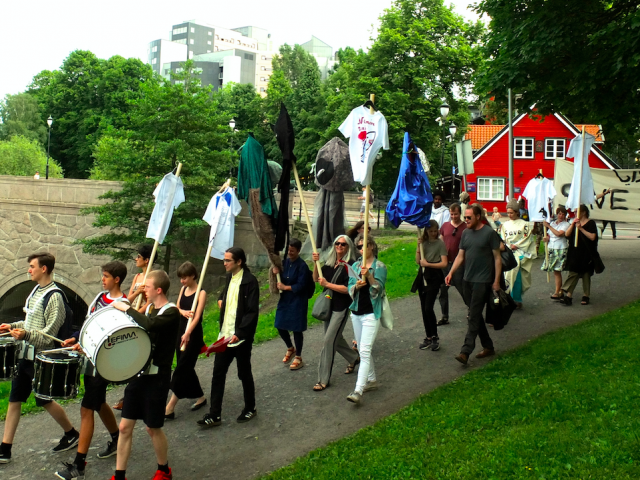 Developed together with young people from Grünerløkka area, the route of the performative procession will include problematic areas in the neighborhood, private locations and spots appropriated by young people. 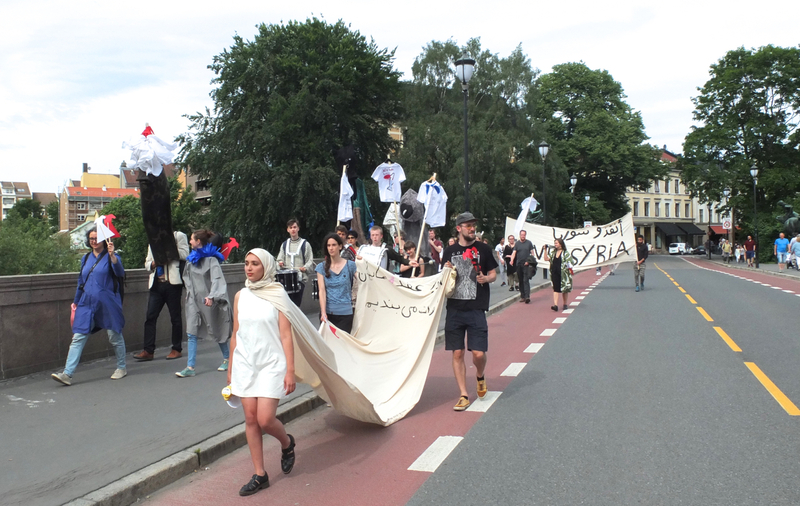 Art objects, slogans, banners and T-shirts made in a workshop with students from Oslo art schools will be important parts of the procession. 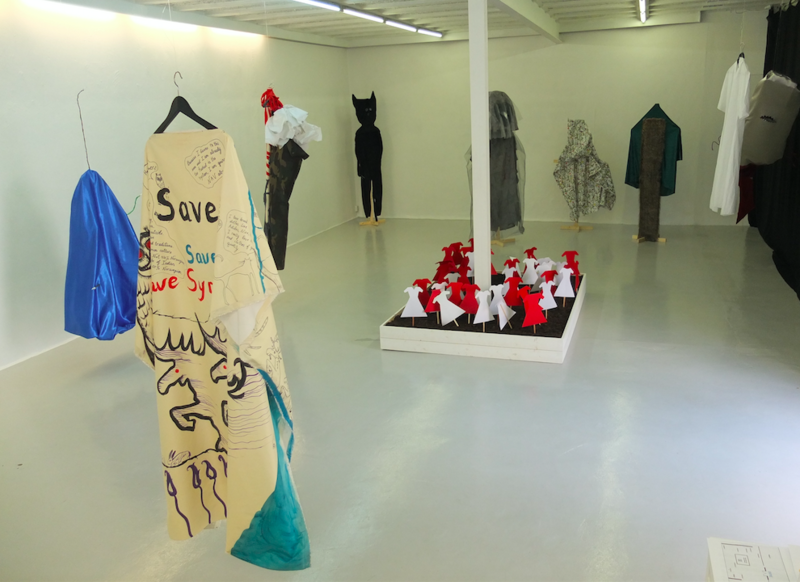 The installation at the RAM gallery will be composed of documentation of the event, costumes and masks presented in the performance and art objects used during the procession. Collaborators and contributors for project’s content: Bennedict, Henriette, Hans, Morten, Anders, Marfa, TT, Kaalel, Tarun (all of the young people who gave us interviews), Madeleine Park, Kenneth Korstad, Hanan Ben, First Supper Symposium, members of the X-ray youth club, Reinert Mitthassel, Ksenia Aksenova, Eva Bakkeslett, Helle Siljeholm, Tenthaus, Sebastian Kjølaas, Boel Christensen Scheel, Kari Brandtzæg, Ludvig Broll, Marcos Haugestad, Theo Odegard, Bente Larsen and many others.